A safety barrier lip to prevent accidental roll off from the dock due to the lack of visibility caused by oversized loads. Extra-wide and extra-long levelers for full-cube and below-dock end-loading, as well as the flexibility to handle tugs vs. forklifts. Powered RIG-style restraints equipped with interior/exterior LED lights are the best choice for many heavy industrial docks because they optimize communication and safety for both dock workers and drivers. In some facilities, powered wheel chocking systems with interior/exterior LED lights are required. 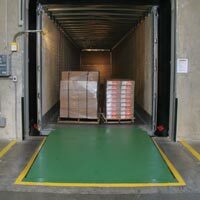 Because larger doors are required to accommodate large, heavy industrial loads, dock shelters are the most efficient choice for keeping the loading dock dry and productive. However, the type of dock seal or shelter that works best can vary by loading requirements. 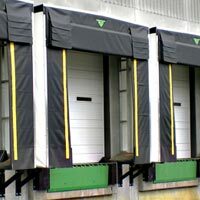 Two types of doors are particularly valuable for heavy industrial docks: powered sectional doors can improve operational efficiency, and heavy-duty, damage-resistant, impactable doors can take the abuse of weighty loads to minimize downtime. 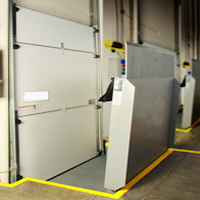 A Kelley master control panel lets you integrate and sequence the operation of all your loading dock equipment to maximize equipment utilization, resulting in better throughput and safety. 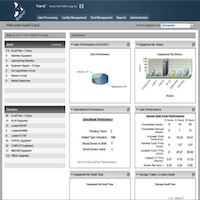 4SIGHT logistics software integrates seamlessly with Kelley loading dock equipment, so you can easily monitor activity in your yard and loading dock and improve productivity through automated scheduling and gate operations. 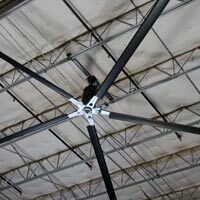 High-volume, low-speed (HVLS) fans are recommended for maximizing employee comfort and safety. HVLS fans improve temperature control, which leads to higher productivity.